Gliding is a wonderful sport, but very difficult to explain to family and friends. You can see gliders in competitions only during take off and after 5 hours the pilots return to the same airport as where they departed. Where are all the competition pilots? Do they have enough height to make it home? What are the average speeds? How far do they have to fly? With the latest technology it is possible to track/follow all gliders (equipped with a Mode-S transponder) during a competition. Other tracking techniques are also possible. 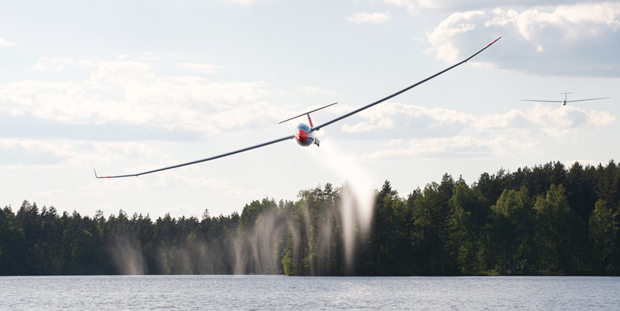 The existing wish lasts to visualize the sport of gliding to the general public. Live tracking is very suitable to pursuit this goal. Public at home and on the competition site can follow the pilot, like you are in the middle of it. GliderTracking has launched a beta tracking system in 2011 during the Dutch National Gliding Championships, held at airport Terlet.